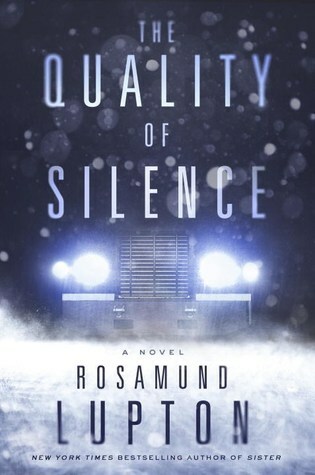 Rosamund Lupton has written two very well regarded mystery-suspense novels, including the slightly supernaturally-tinged and utterly absorbing Afterwards, and has now written a third—The Quality of Silence. This novel takes place in the Arctic Circle and so automatically caught my interest (both extreme cold environments and submarines in literature/film are impossible for me to resist). But is the book worthy of its setting? For the most part, yes. Lupton starts with an intriguing premise: an astrophysicist, Yasmin, heads to Alaska to visit her husband. Once there, she is told that he has died in a catastrophic accident. Yasmin refuses to believe he is dead and so she ventures into the Alaskan wilderness to find him. This premise alone is enough to build a suspenseful tale around, but what makes the story shine is the character of Ruby, Yasmin’s ten-year old daughter, who accompanies her mother into this treacherous territory. Ruby, who has been deaf since birth, provides one of the voices of the novel—which is split between Ruby’s first-person narrator and a close third person narrator which lets the reader into Yasmin (and other characters’) thoughts. Ruby is obsessed with words: the power of them and the way she must live without the sound of them. Her sections read the best: she’s a smart and charming voice to follow. Some readers may find her voice too intelligent or precocious, but my guess is that those are readers who have never spent time with a ten-year old. Lupton also succeeds in her setting through her descriptive work. I truly felt the cold and saw the darkness of this treacherous landscape. Where she is less successful is in the mystery itself. I was able to guess the twists and turns long before they were revealed. And while I don’t believe that the most important part of a mystery novel is actually the mystery part, I still do want to feel like an author is surprising me in some way. The reveals here are exactly what someone might expect, and are ones we’ve seen (perhaps under slightly different guises) in many a political thriller. The villain also, ultimately, is just not well written, fitting too easily into what a reader would expect. There is also some repetitiveness towards the end of the book that could easily have been edited out. Ultimately, for mystery fans there is nothing new under the snow here. For fans of interesting narrators and a thoughtful examination of what we can hear when we pay attention with more than just our ears, though, this is a solid and often thrilling read. Nerd Coefficient: 7/10 “an enjoyable experience, but not without its flaws"